Love can be incredibly unpredictable! A yearly love horoscope will give you a glimpse into the romantic energies headed way, but there's so much more to the story! That's because your unique astrological blueprint has a HUGE effect on how certain cosmic events will impact your love life. Your Big Picture 1-Year Astrology Love Forecast combines your specific Astrology with the long-term astrological cycles and major planetary transits that take place over the 12-month period of your choosing. This report outlines the peak days of each of your romantic cycles, so you'll know when these energies have the greatest influence on your love potential. Whether you're single, in a committed relationship, or evaluating a potential partner, arming yourself with this kind of personalized insight will help you maximize the opportunities and avoid the obstacles the universe throws your way. How does your Sun sign want to be loved? This section of the report answers that question, giving you a better understanding of your sign's love tendencies, as well as a general overview of the year in love for your sign. The Moon can have a major impact on your romantic mindset! This chapter illuminates the importance of specific New Moon and Full Moon cycles, helping you gauge your instinctive, gut-level needs in love, allowing you to maximize your potential in any relationship over the next year. Venus is one of the most powerful influences on your romantic cycles. It represents your ability to not only attract lovers but also to receive them! Understanding how Venus' transits touch your natal planets allows you to manifest love in the most positive way. Mars is the planet of initiation, motivation, and drive -- but did you know it also rules your sexual and impulsive energy? Pinpointing how Mars' transits fuels your birth chart not only tells you when this energy will be heightened for you, but also how you can best take advantage of it! Jupiter is a cosmic good luck charm that showers you with good fortune, which is why it's important to track its movement in the sky. When Jupiter connects to a planet in your birth chart, it opens up possibilities in every aspect of your life -- including matters of the heart! Okay, so Saturn isn't the most lovey-dovey planet in the sky, but that doesn't mean it's not important when it comes to romance! This planet knows a thing or two about endurance, so understanding when it touches your chart gives you the opportunity to snag the commitment you've been waiting for. There's a reason Uranus is known as the "Great Awakener" -- this planet loves sudden and dramatic change. Bracing yourself for Uranus' impact on your chart will help you embrace this revolutionary energy, allowing you to break free from traditional patterns and transform your love life. Don't let the slow movement of Neptune and Pluto fool you! 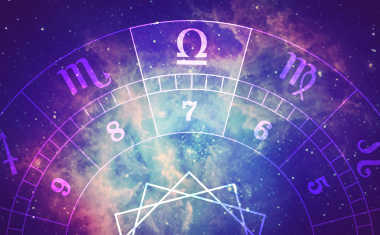 Knowing Neptune's aspects to your chart allows you to work on the more spiritual side of love, while Pluto's movements offer insight on how to completely revamp your current romantic situation. 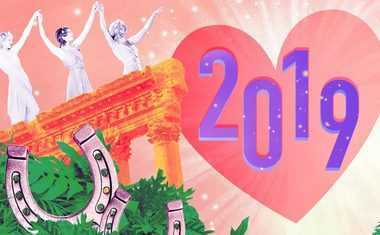 Receive helpful suggestions from astrologer Maria DeSimone on how to continue to keep your eye on the romantic prize in the upcoming year. Are you ready to create a more rewarding love life by learning how to work with, rather than against, these universal energies? 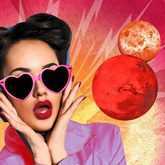 Get your Big Picture 1-year Astrology Love Forecast now!